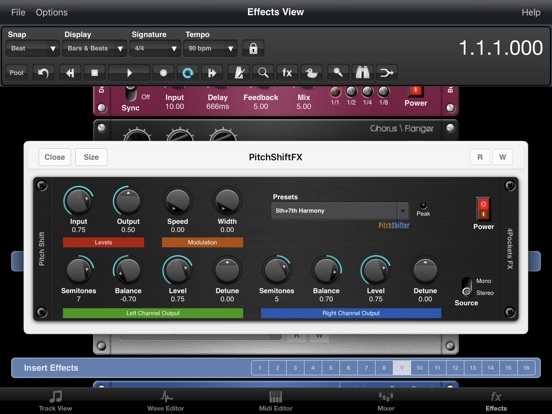 This effect was designed for modifying the pitch of vocals and lead instruments such as lead guitar or keyboard lines. 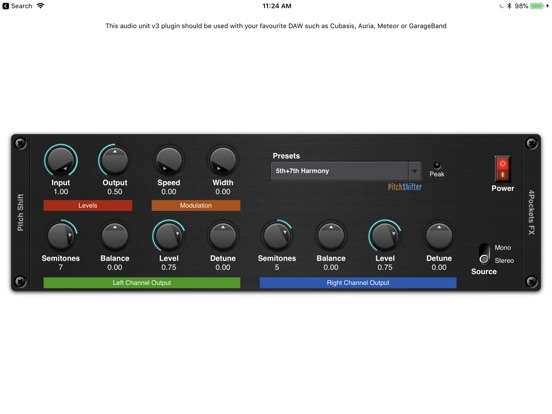 It allows you to pitch shift both left and right channels independently by +/- 12 semitones. 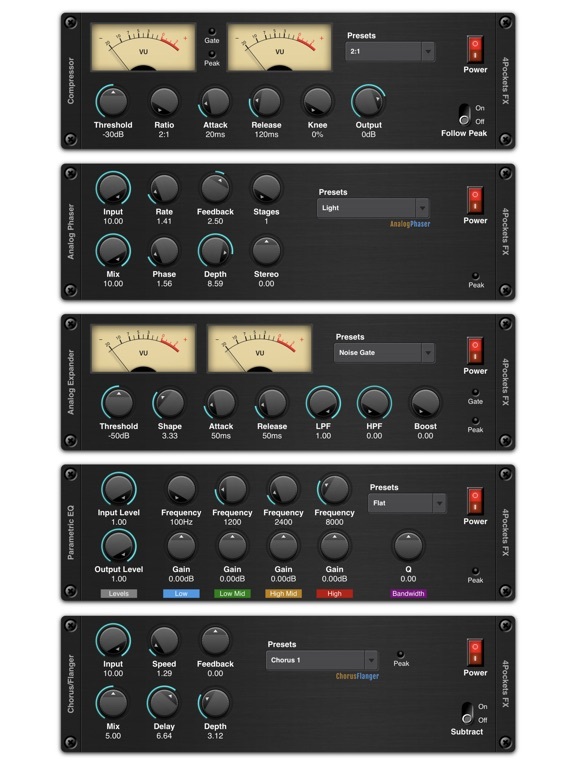 We also provide fine detune options for both channels as well as level and balance controls. 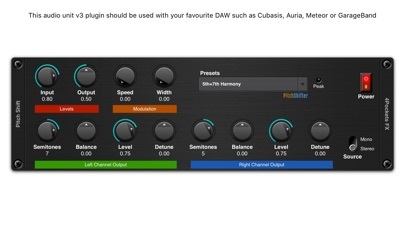 Please Note: There are some restrictions on this plugin which you need to take into account before purchasing. 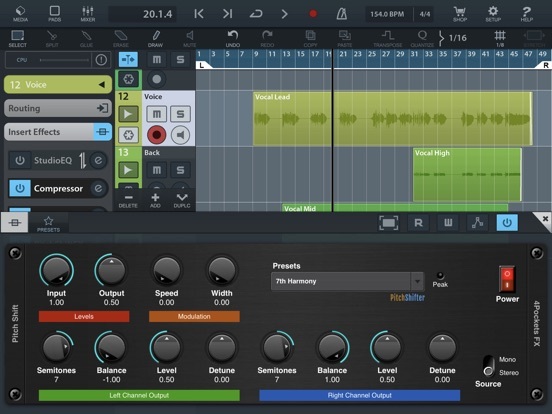 This plugin only works with sample rates of 44/48KHz and below. 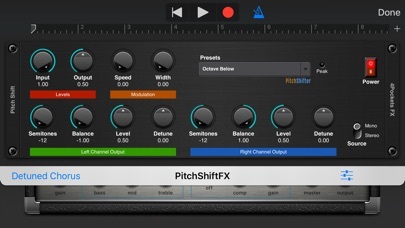 As with most real time pitch shifters this effect imposes a 100ms delay due to data processing constraints. 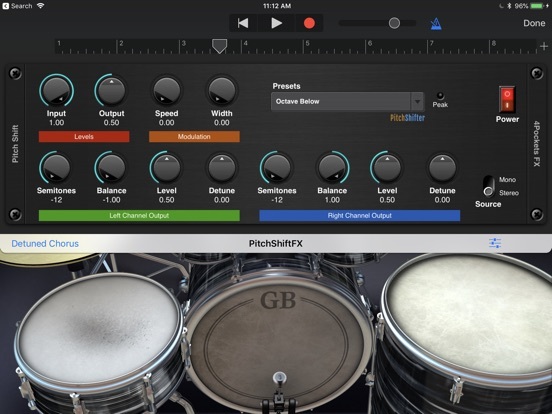 This is not so noticeable on vocals or lead instruments but not useful for shifting drums or anything that snaps to a beat. Again this is pretty typical of real-time pitch shifting algorithms. Fixed an issue which occastionally caused parameters not to be restored correctly.